I am a huge Canva fan. I have created thousands of designs (click here to download the image below if you could use this one in your home). I have written many blog posts on it (e.g., 3 Great and Free Image Sources For Your Next Blog Post and Create Awesome Facebook Covers In Minutes). I have contributed images to their image library, and I have been very vocal in my support of the startup. So, no wonder that I was greatly anticipating the arrival of Canva for Work. And finally, this morning when I woke up, I had an email in my inbox saying "Congratulations! I'm excited to let you know you’re one of the first people being invited to try Canva for Work". Hooray!! I could not wait to try it out. But before I go into why every professional marketer, business owner and every social media publisher should use Canva For Work, I will quickly go over why Canva itself is a big deal. If you already know, please feel free to jump ahead. Why Is Canva A Big Deal? Our world is becoming more and more visually based every day, and this is especially true for marketing: we can convey emotions better with images and our brain processes visuals 60,000 times faster that text! “As the world becomes an increasingly visual place, the existing tools provided by Microsoft and Adobe no longer meet the needs of companies where everyone has to create high-quality graphics and express their ideas visually. We couldn’t be more excited to announce ‘Canva for Work’, which we believe will transform the way every company works,” said Canva CEO and co-founder Melanie Perkins. 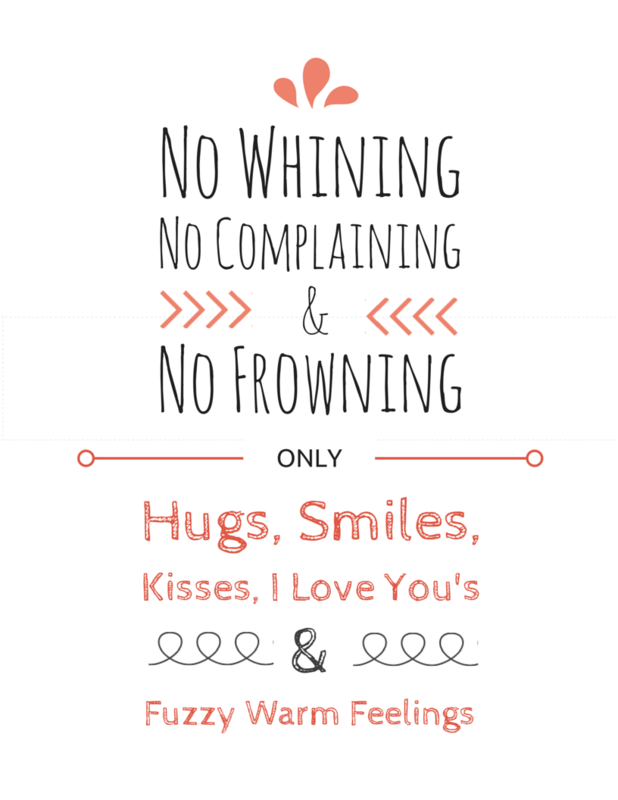 But Canva is not just for small mom & pop shop owners who want to create a new Facebook cover or someone who wants to send their mom an extra special card for Mother's Day. The secret to its success is simple. It follows one of Guy Kawasaki's (who is Canva's Chief Evangelist since 2014) ground rules for a successful startup: You must make a difference in the world. And it does — Canva solves a mission-critical business problem: it arms an army of content creators with an easy-to-use, yet powerful tool for creating images and other visual content. 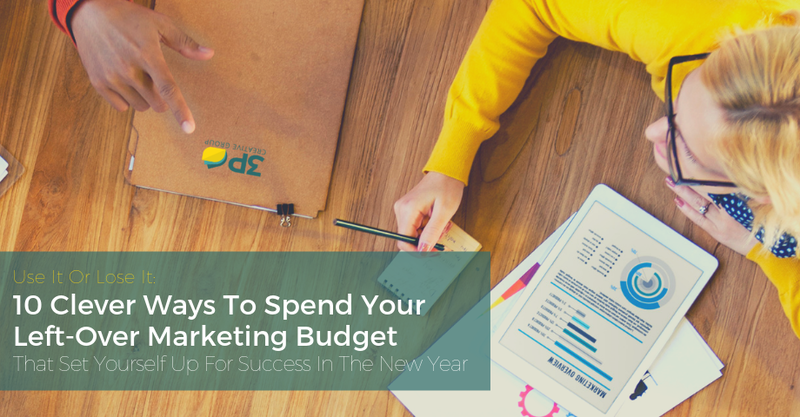 79% of business owners find designing marketing materials time-consuming. 87% said that they wished design was more efficient at their company. 78% of companies said that people who are not professional designers create social media graphics, customer facing presentations, and other marketing materials. 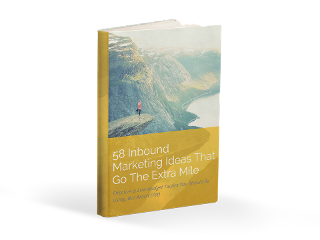 60% of people said they were not confident that all of their marketing materials reflected their brand guidelines. There are now more than 200,000 companies and organizations — some with up to 180 employees — that use the graphic design tool. In fact, 40% of Fortune 500 companies are already using the tool — making a way to enable team collaboration for these companies a must-have to sustain the growth in the business segment. 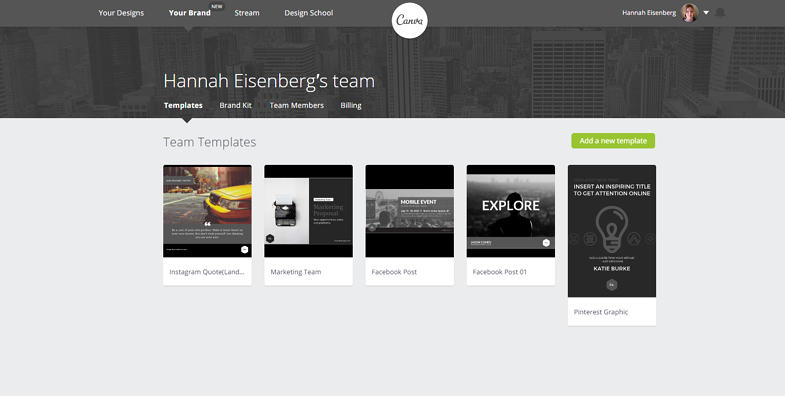 Say hello to Canva for Work! 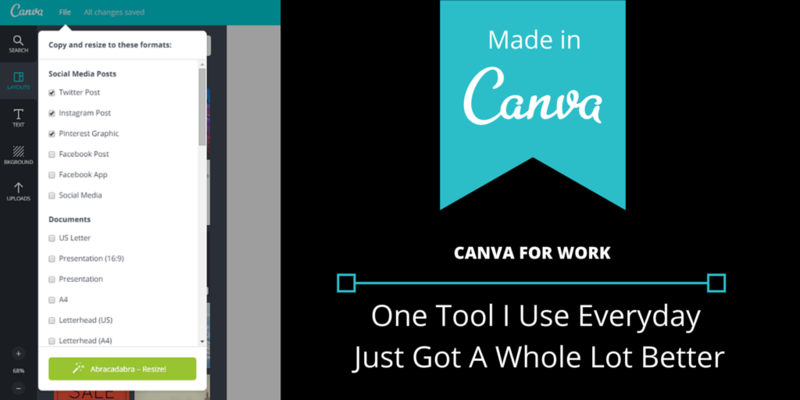 Canva for Work takes Canva to the next level. It enables a team to collaborate on designs, use branding and templates to shorten the time spent on creating and publishing social media images and other visual content in a fraction of the time. When you log on for the first time, Canva For Work will prompt you to customize the app to your branding. You can define the default settings for the header, subheader and text for whenever you want to include a text field as well as add your branding colors and logo. It seems such an insignificant step, but if you are creating 2-3 intricate graphics with lots of text, this is very useful and already saves you a ton of time right there. So kudos for that — however, I wish there was an option for agencies or larger corporations with multiple brands to add multiple branding kits. The next step is more involved. There will be some templates pre-populated, but you will want to add your own. Do yourself the favor and create a template for items that your team uses on a regular basis, such as Facebook Cover, Facebook post image, Twitter post image, LinkedIn Post Cover Image and so on. Not only will this save you loads of time in the long-run, but it will also keep your branding consistent and enable your not-so-design-inclined co-workers to create images that look great. You can go back to the designs you have already created and add them as templates by clicking on the "Show Team" button on the top right and check the "Save as team template" box before confirming it. Now the item will be available for your team members to see, edit and create visual assets from. One of the biggest frustrations I had with Canva so far was that I had to recreate the same visual content in different sizes — for example if you write a blog post and you create cover art for it, why not create an awesome Facebook post, Twitter post, and LinkedIn post as well. Or I had started in one format and then realized down the road, a different size would fit better. Now, with Canva For Work, you can create a piece of visual content and with the touch of a button you can resize it to your needs as you see fit. 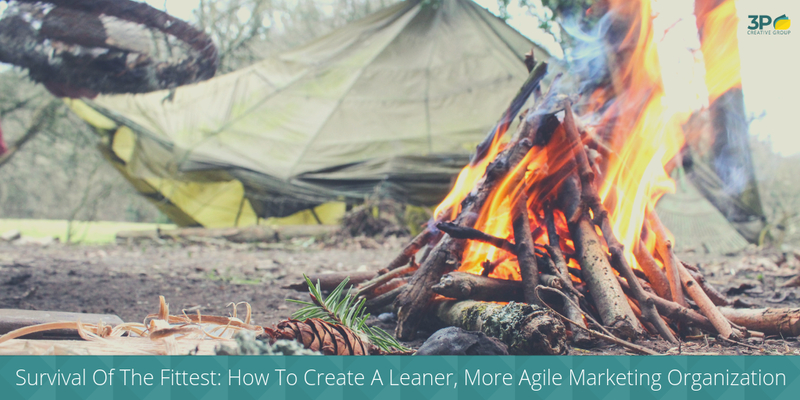 Did you create an image for a Facebook post but it should have been for a blog post? Magically resize it. Did you create an awesome blog post image and want to have the image on LinkedIn, Twitter, Facebook, etc.? Select the sizes you want, click resize, done. After you clicked on Magic Resize and selected the desired image sizes, the program will open new tabs for each image size (if you have disabled your popup blocker that is). Now you can make any needed changes and hit save. Done. Administrators - Can manage your team members, create design templates for your brand, and edit your brand kit. Template designers- Can create design templates for your brand and edit your brand kit. Invite your designers and we’ll send them special tips to get started. Members - Can create and share designs. Perfect for anyone who needs to make branded designs — especially your colleagues in marketing, social media & sales. 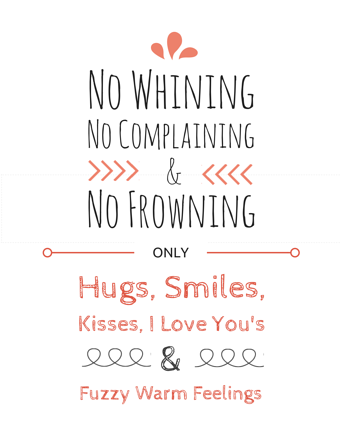 Have You Tried Canva For Work? What are your favorite features? What are you looking forward to using the most? Anything else you wish was part of the professional version? Please share with us in the comments below.